A young Taiwanese assassin codenamed “Glass Heart“ committed suicide by jumping off a building, and her heart was pierced by a metal fence. Miraculously, her life was saved by heart transplantation. During her recovery she began to experience strange dreams, which led her to Japan looking for the donor of her heart, who happens to be Kaori Makimura, former partner of City Hunter. Vol.17 Ch.196 - Yang Returns! 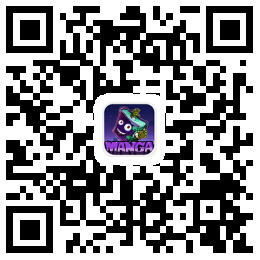 Vol.16 Ch.170 - Yang, Begin the Operation! Vol.16 Ch.169 - The Invisible Man Appears! Vol.16 Ch.168 - Heaven and Hell? Vol.16 Ch.166 - Could Love Save This World? Vol.14 Ch.151 - Start living Together! Vol.14 Ch.149 - Dearest Person in this City? Vol.14 Ch.147 - Dangerous Star Actress! Vol.13 Ch.134 - Continue Living! Vol.11 Ch.113 - Tea Pot Baby! Vol.11 Ch.112 - Request from a Highway Bandit!? Vol.10 Ch.101 - Did My Sister Live Happily? Vol.09 Ch.092 - Is this Love? Vol.07 Ch.071 - The Contract Is a Murder!? Vol.06 Ch.063 - I'll Protect You, Yume! Vol.06 Ch.059 - City Hunter, Guilty!? Vol.01 Ch.004 - Great Disarray at Shinjuku!